Dragon's Lair is a super fun, quick and simple project! It just flies together! 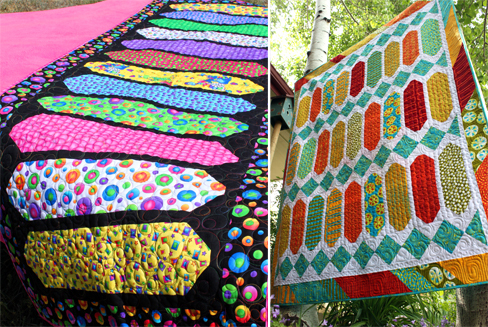 You can make a lap-sized quilt or a fun bed runner very quickly with this fun pattern! Plus it is Fat-Quarter friendly! So dig into that stash! 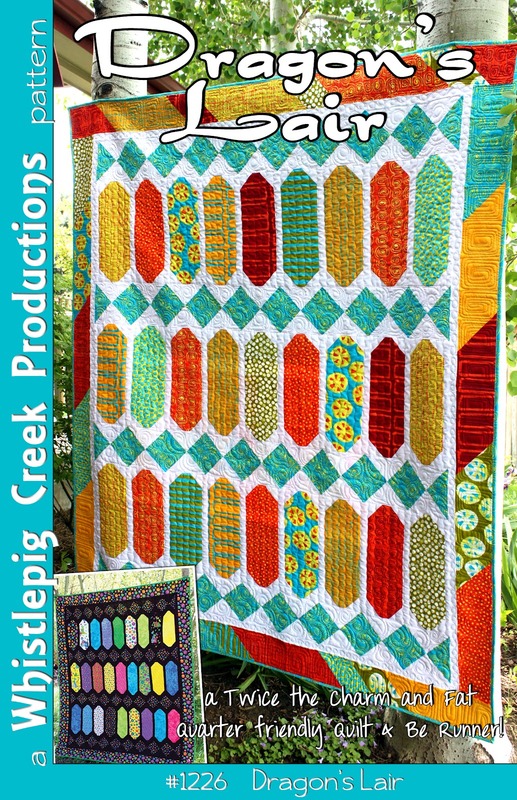 This pattern is also perfect for the new 'Twice - the - Charm' Precuts. The version shown with the solid black background is featuring the coordinates from 'Days of Yore' by Sue Marsh for RJR Fabrics. 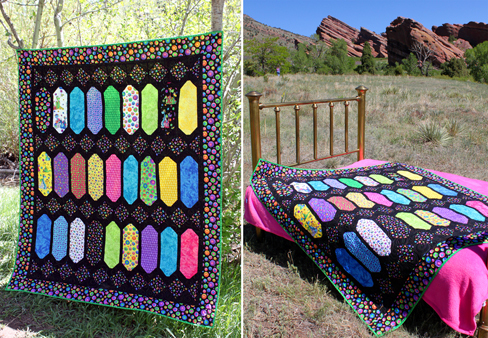 The version on solid white is featuring the fabric line 'A Stitch of Color' by Moda. Cheers! You can purchase the Paper and PDF patterns HERE.